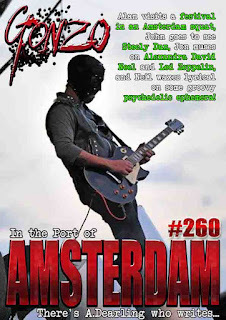 Alan visits a festival in an Amsterdam squat, John goes to see Steely Dan, Davey goes to see the Hawklords, Jon muses on Alexandra David-Neel and Led Zeppelin, and Neil waxes lyrical on some groovy psychedelic ephemera! And there is more alright. And there are radio shows from Mack Maloney, Strange Harvest, Friday Night Progressive and Canterbury Sans Frontieres. We also have columns from all sorts of folk including Neil Nixon and the irrepressible Corinna, although Roy Weard, C J Stone, Mr Biffo, are taking a week off. There is also a collection of more news, reviews, views, interviews and long nosed potoroos who have done lots of poos (OK, nothing to do with small marsupials who have been at the laxatives, but I got carried away with things that rhymed with OOOOS) than you can shake a stick at. And the best part is IT's ABSOLUTELY FREE!!! ON THIS DAY IN - 1840 - Sculptor Auguste Rodin was born in Paris. His most widely known works are "The Kiss" and "The Thinker."